I am the best value in DeBary. It's not open for debate. I will not be around long so if you are interested, don’t lollygag, you will be sorry. Sitting high above Mansion Blvd, a stones throw from the Historic Mansion and directly across the street from the bike trail, I am perfectly positioned for anything you heart desires. 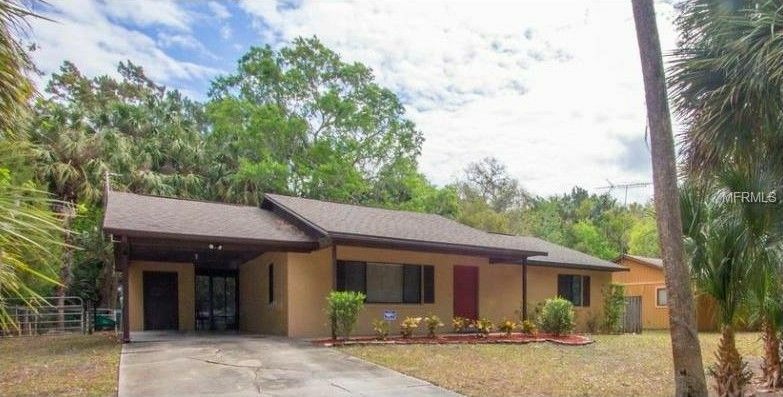 Barely a mile from the Sunrail station, and right around the corner from I-4, I offer you an immaculate home on an oversized lot 150’ deep with an easy commute to the city, the attractions, or the beach. And we haven’t even gone inside! Hold your breath as you enter to a beautifully tiled and meticulously maintained family room. You will be amazed at the open floor plan and separate dining area. Peak around the corner, yeah, my kitchen is really that nice! Stainless steel appliances, tons of cabinet space, brand new dishwasher, and microwave hood. Through the sliding glass doors and you find yourself on my large fully screen porch staring nature right in the eye. Hard to believe all this and we haven’t even gotten to the oversized bedrooms. I have full bath in the master and a full bath in the hall. Both bedrooms have nearly new and barely walked on carpet and I’ve barely been used in the last few years. I have newer roof but just in case something does go wrong, my owner is offering to purchase a 1 year warranty for any buyer! I need a new owner, is that you? They love me, but are ready to move on. It happens. Come see me today! Don’t wait until tomorrow! I may not be around then.